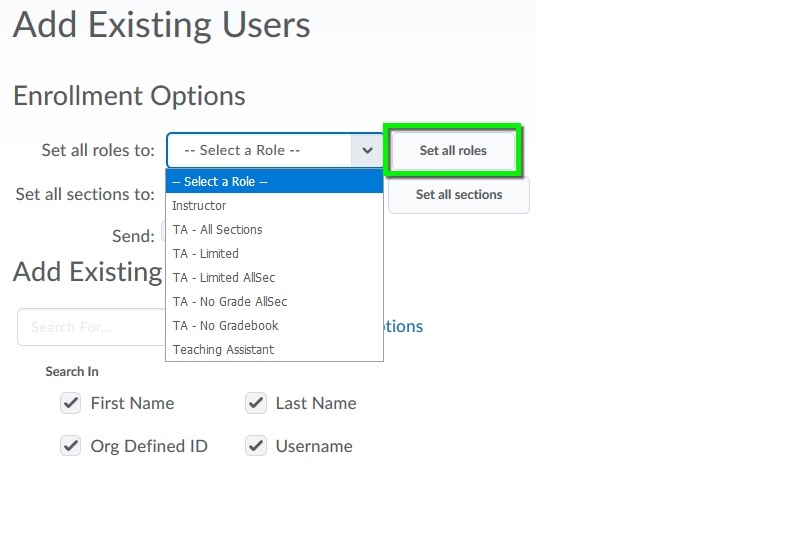 The following instructions will show you how to add instructors and teaching assistants to a D2L course. 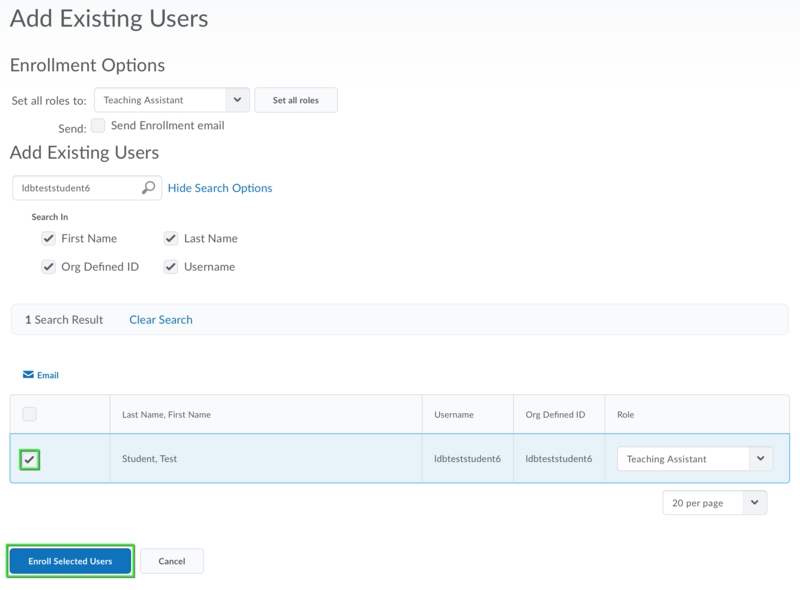 From the course homepage, select the Communication drop-down menu and click on Classlist. 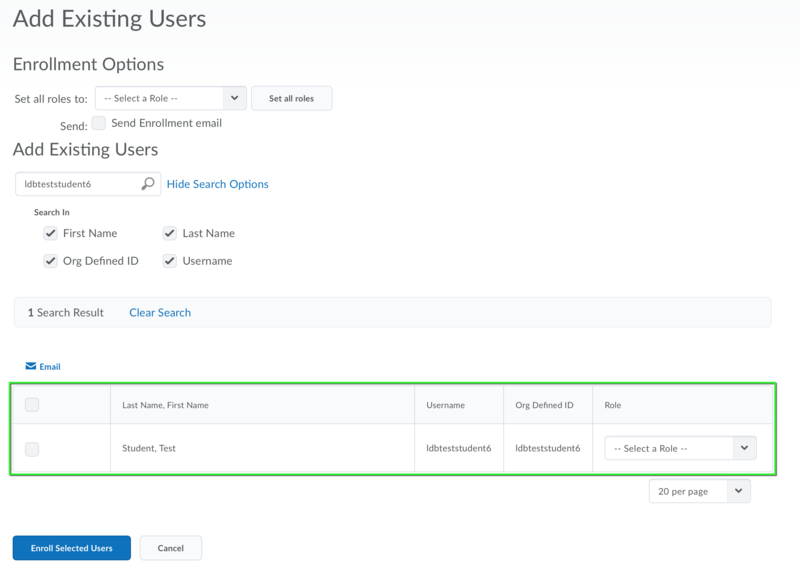 Click on Add Participants drop-down menu and select Add existing users. 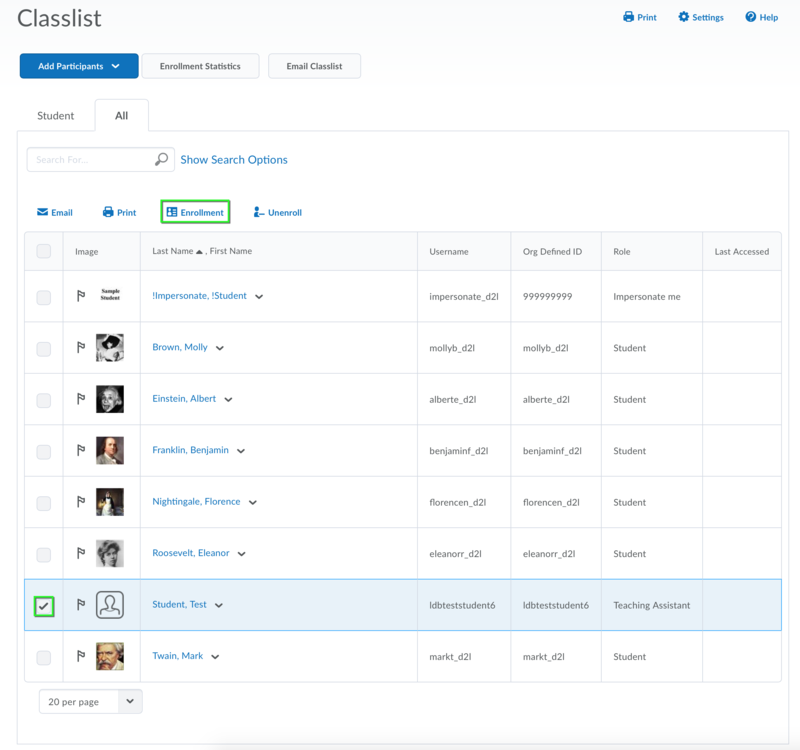 The Add Existing Users page will open where you can begin a search for the participant you want to add. *Note: If you cannot locate the participant you are trying to add, they may not have an account in D2L or they may already be enrolled in the course. Review the class list to ensure the participant is not already in the course. If they are not, contact the IT Service Center. Provide the participant's CU Login Name or @colorado.edu email address and the course you would like them to be added to and they will be enrolled on your behalf. Next, assign the participant a role. Click on the Select a Role drop-down menu and make your selection. *Note: If you are enrolling a user in a Community Course, select Cmty Course Particip for the role of all users (other than Community Course leaders). Next, assign the participant a section. Click on the Select a Section drop-down menu and make your selection. *Note: If your course has sections, you must add the participant to a single section at this point. If you want the participant to be enrolled in multiple sections, just pick one section for now, and then when you have finished this tutorial, follow the instructions in Assigning Course Participants to Sections to add the participant to the other sections. If you are adding multiple partipants that have the same role, use the Set all roles to: drop-down menu and click Set all roles. If you are adding multiple partipants that have the same section, use the Set all sections: drop-down menu and click Set all sections. To enroll your participants, checkmark the box beside each entry. Click Enroll Selected Users. Confirmation of Enrollment will appear. Click Done. The participant(s) you enrolled will now be listed in the Classlist under the All tab. To change the enrollment of a participant, check the box next to the participant's name in the Classlist. Then click on the Enrollment icon. 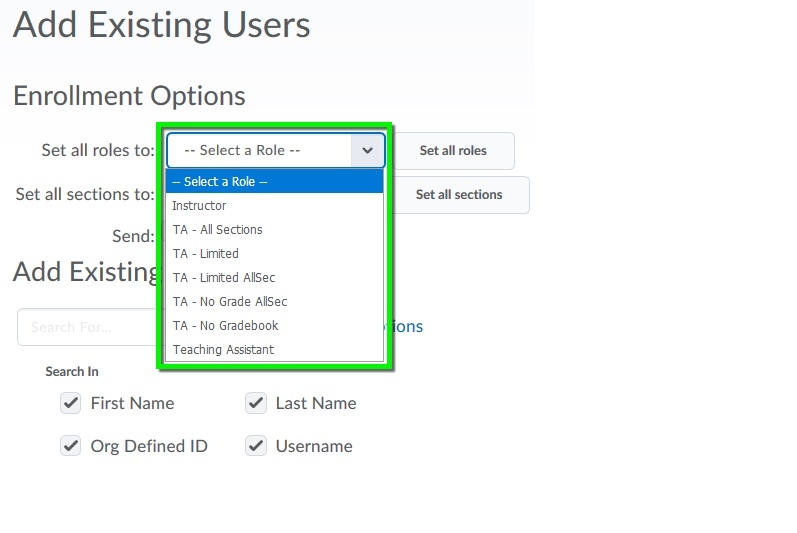 In the New Role column you have the ability to adjust a participant's role.